AEK Athens won their last 3 games in all competitions. Young Boys scored in last 24 away games in all competitions. Dinamo Zagreb scored in last 11 games in all competitions. Ajax won their last 4 games in all competitions. Dynamo Kyiv scored in last 7 games in all competitions. AEK Athens won their last 7 home games in all competitions. AEK Athens scored in last 5 games in all competitions. Dynamo Kyiv scored in last 12 home games in all competitions. Young Boys won their last 5 away games in all competitions. Dinamo Zagreb won their last 4 home games in all competitions. AEK Athens scored in last 13 home games in all competitions. AEK Athens scored over 1.5 goals in last 5 home games in all competitions. Dynamo Kyiv has under 2.5 goals in their last 6 home games in all competitions. Dynamo Kyiv won their last 5 home games in all competitions. Dinamo Zagreb scored in last 7 home games in all competitions. Crystal Palace scored in last 16 away games in all competitions. Southampton has over 2.5 goals in their last 4 away games in all competitions. Brasil de Pelotas has under 2.5 goals in their last 9 home games in Serie B (Brazil). Brasil de Pelotas has under 2.5 goals in their last 5 games in Serie B (Brazil). Brasil de Pelotas ended draw their last 4 games in Serie B (Brazil). Brasil de Pelotas allowed opponents to score over 1.5 goals in last 5 home games in Serie B (Brazil). 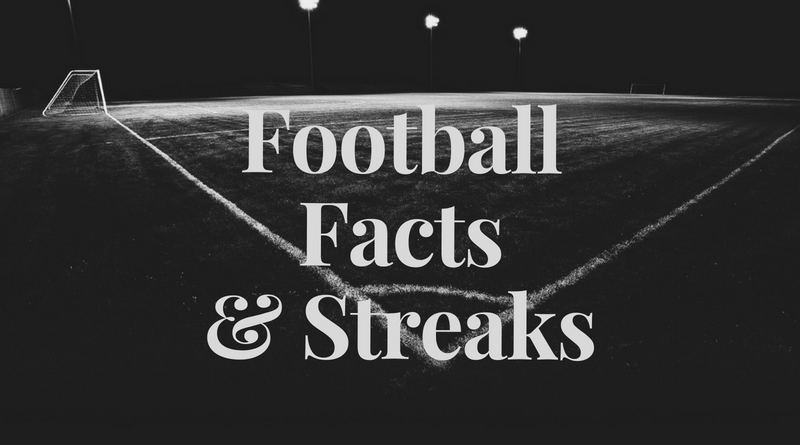 Brasil de Pelotas allowed opponents to score over 1.5 goals in last 5 games in Serie B (Brazil). Orgryte has over 2.5 goals in their last 3 games in Superettan. Orgryte scored in last 4 games in Superettan. GAIS scored in last 5 away games in Superettan. Dundalk won their last 4 games in Premier Division (Ireland). Dundalk won their last 12 home games in Premier Division (Ireland). Dundalk scored in last 4 games in Premier Division (Ireland). Dundalk scored in last 12 home games in Premier Division (Ireland). Dundalk scored over 1.5 goals in last 4 home games in Premier Division (Ireland). Sogndal lost their last 3 games in 1st Division (Norway). Mjondalen scored in last 4 games in 1st Division (Norway). Mjondalen allowed opponents to score over 1.5 goals in last 7 away games in 1st Division (Norway). Mjondalen allowed opponents to score over 1.5 goals in last 5 games in 1st Division (Norway). Le Havre allowed opponents to score over 1.5 goals in last 9 games in all competitions. Metz won their last 7 games in all competitions. Lorient allowed opponents to score over 1.5 goals in last 8 away games in all competitions. Nancy has under 2.5 goals in their last 3 games in all competitions. sOrleans scored in last 3 games in all competitions. Lorient allowed opponents to score over 1.5 goals in last 11 games in all competitions. Nancy allowed opponents to score over 1.5 goals in last 3 games in all competitions. Troyes lost their last 3 home games in all competitions. Clermont allowed opponents to score over 0.5 goals in last 3 games in all competitions. Le Havre has under 2.5 goals in their last 5 home games in all competitions. Metz won their last 4 away games in all competitions. Metz scored in last 4 away games in all competitions. Le Havre has under 2.5 goals in their last 7 games in all competitions. Brest has under 2.5 goals in their last 4 games in all competitions. Le Havre allowed opponents to score over 1.5 goals in last 4 home games in all competitions. Metz scored in last 7 games in all competitions. Metz allowed opponents to score over 1.5 goals in last 3 games in all competitions.